Laurier’s Centre for Public Safety and Well-Being says “thanks” to all the first responders for the work that they do. First Responders Day is celebrated annually in Ontario on May 1. The day, established in 2013, is designed to recognize and honour police, firefighters, paramedics and other emergency service personnel who keep our communities safe and healthy. At Laurier, the Special Constables Service (SCS) is a dedicated team of first responders who play a vital role in providing a safe and healthy campus environment. “The women and men ‎of the SCS are uniquely positioned within the campus environment to not only respond to calls but to deploy strategic planning initiatives that enhance the overall community experience,” said Tammy Lee, associate director of the Special Constable Service. First responders and emergency personnel are continuously expanding their knowledge and skills to adapt to the unique needs of the community members to whom they respond. 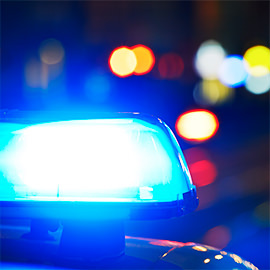 Laurier established the Centre for Public Safety and Well-Being (CPSW) to address the unique professional development needs of those working or aspiring to work in a wide range of industries, including public safety, health and wellness and well-being.